Hoya vitiensis is endemic to Fijii and more specifically to Viti Levu the Republic of Fijiis largest island. 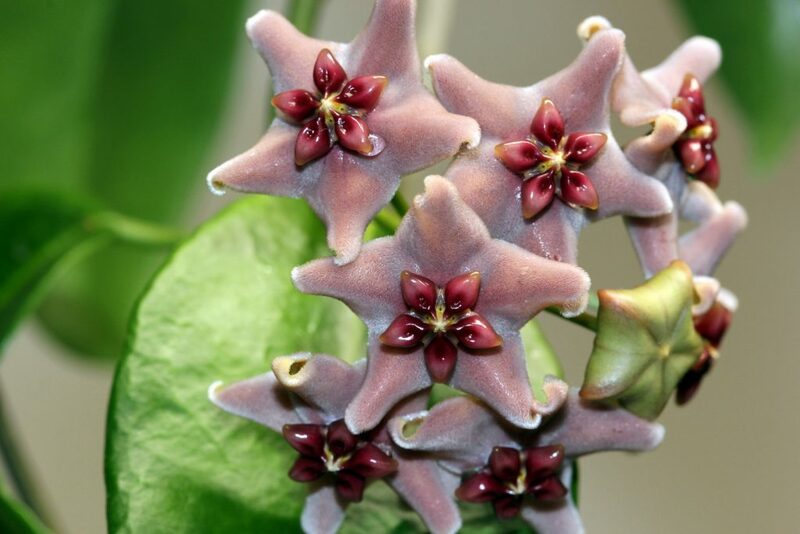 Hoya vitiensis was named after the island of its discovery and was first described in 1915. My plant was rooted and grown in Growstones from the day that I received the cutting in 2015. At the time, I had started a huge number of plants the same way, and this plant is the only one remaining as the rest died or had to be started over. The high alkalinity of the Growstones coupled with keeping the media too wet doomed most of my other plants grown in this manner. It only started to grow well after I started treating my tap water with pH up to combat the alkalinity of both my tap water and the Growstones themselves. Also after many setbacks I instituted a policy of never watering the plant more than once every week to ten days and stuck to it. I was very excited with I saw the first peduncle developing on Hoya vitiensis, but unfortunately my excitement was premature. 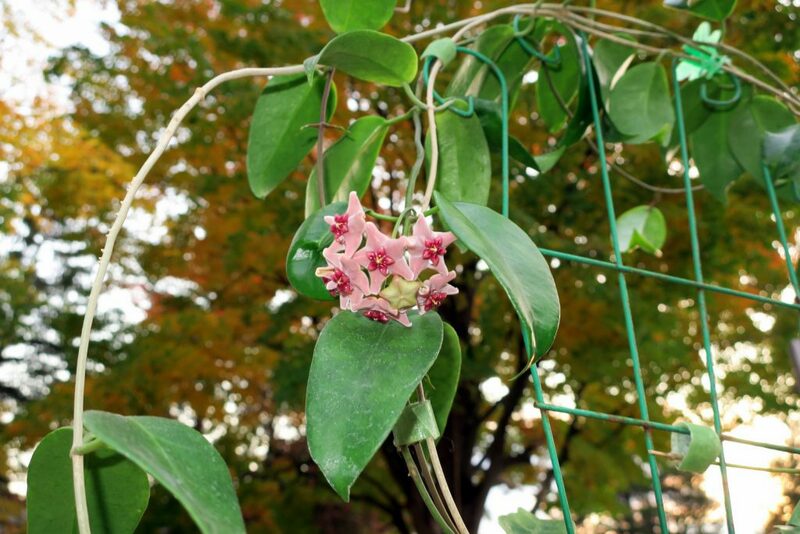 The buds fell off as soon as they started to form and eventually I lost that first peduncle. I put the plant outside in the greenhouse over the past summer and it grew pretty well putting on two new peduncles, but they refused to bud up. After bringing the plant back inside in autumn of 2016, and putting the plant in a warm, humid grow-tent under strong LED lighting, the plant began to thrive. Buds began to develop on one of the peduncles and this time they held on. Hoya vitiensis is a very slow grower until it gets established and then can grow very rapidly. It is currently twined around a number of other plants in my grow-tent. The leaves are plain green and measure 3.25 to 4.25 inches (8 to 11 cm) long and are nothing special to look at. The flowers measure about 7/8 inches across (2 cm), and are quite unusual and spectacular. They are covered with very fine purple/gray hairs making the flowers very fuzzy. The corona is yellow with a red center. The tips of the corolla curl back strongly at the tips almost forming a small tube at the ends. The flowers last a very long time; as I write this entry, it has been 12 days since the flowers first opened, and they are still going strong. I think that Hoya vitiensis has a place in every collection of Hoyas. The flowers are unique, quite beautiful and smell vaguely of a raspberry chocolate truffle. If you have a little bit of patience, I think that most of you should find a some room to squeeze this outstanding and very rewarding plant in.